Superheroes are fun and exciting, but with the war going on they kind of got transformed into pro-patriotic war bonds salesman and cheerleaders for the war effort. And when they did fight criminals, let’s be honest here, they were fighting cartoon caricatures that were so incompetent it was a wonder if they were able to tie their own shoelaces. Even by 1940’s standards, people recognized how ridiculous superheroes could be (except children, and by children I mean mostly boys because that’s who these things were aimed at). Despite their ridiculous nature, superheroes were still popular and well liked, but that didn’t mean people weren’t averse to other reading options. 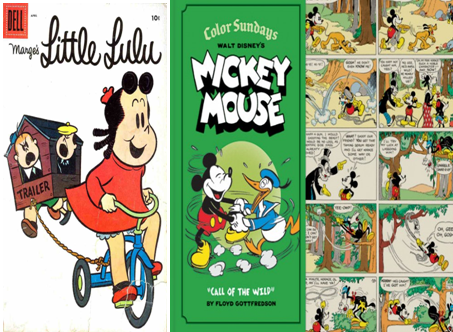 Chances are, if you weren’t a superhero fan, you were probably reading funny comics like Gasoline Alley, Little Lulu, or Mickey Mouse Comics. But like superhero comics, there was this feeling of safety and not really pushing the envelope in terms of commenting on society. It was probably due to the fact that these properties were often from big publishers that really didn’t want to be swarmed with angry letters from parents and have their sales affected by bad publicity. So they tried to play it safe when they could (and still do). Lev Gleason Publications was not in the same league as Timely, Superman-DC, Fawcett, King Features, or Dell. 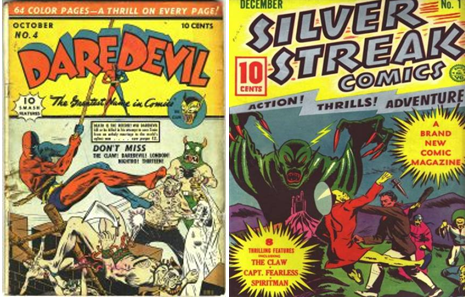 Like Timely before Captain America, they got by, but they weren’t leaders in the industry with their Daredevil Comics or Silver Streak Comics line. 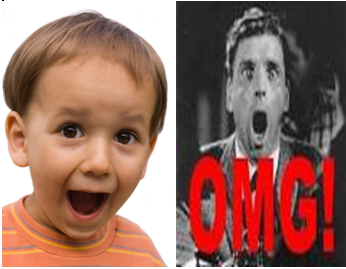 So what could be done to attract readers? According to writers Bob Wood and Charles Biro, the idea was not to delve deeper into fantasy, but to go the other way and depict reality. But with real stories based on real people, that means the writers and artists have to use… ‘gulp’…facts and history and stuff they teach in school. Who wants to bother with that? There is no way that can be interesting! Well…remember you can’t spell history without ‘story’. And when it’s not bleached and whitewashed it can actually be extremely interesting. But who has the most interesting stories? Hint, it was usually the guys and dolls who broke the rules that tended to get the most publicity. This comic would be even more publicity, but this wouldn’t be a glamorization of the criminal lifestyle. Sure the glamour would be there, but not without the ugly rise and downfall experienced by each and every criminal in the stories. This idea was actually the premise for a series of short films by Metro-Goldwyn-Mayer. But unlike the films, the comics were not as censored and could really get down and dirty if it wanted to (it was all up to the publisher). 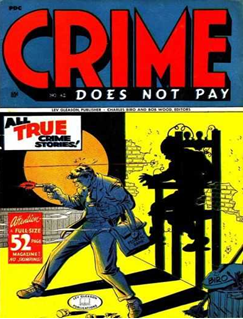 Fortunately, Lev Gleason was all for it and Crime Does Not Pay replaced Silver Streak Comics. Unlike the bigger publishers, who were not censored heavily but still preferred their stories not rocking any boats, Lev Gleason Publications had no qualms about trying this new and possibly offensive title. The result? The first issue alone sold about 200,000 copies (which was pretty good for an independent book without anthropomorphic animals or superheroes) making it popular enough to come back the next month with even more readers as word of mouth spread about the amazing stories within. 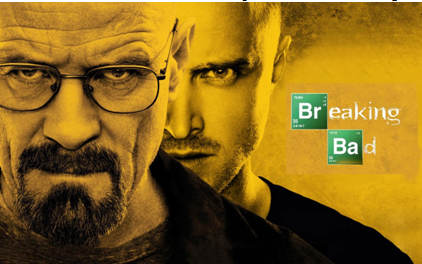 This brutality and violence within made this comic the Breaking Bad of its time. 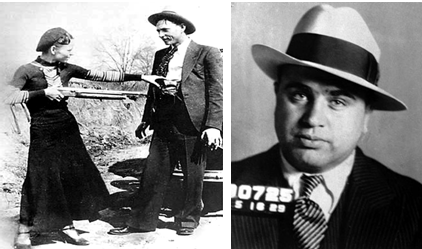 Unlike the tragic misadventures of Walter White and Jesse Pinkman though, these were real stories about real gangsters. The first issue focused on Louis Buchalter (a famous mobster and racketeer who headed the Mafia hit company Murder, Inc. in 1930s New York), “Diamond Joe” Esposito (a crooked Chicago politician deeply involved with extortion, bootlegging, prostitution, and labor racketeering during the 1920s), and “Wild Bill” Hickok (a late 19th century gambler and gunfighter known for causing a stir wherever he went). Every one of these characters rose to the good life through various illegal schemes and brutality, only to fall steeply as their crimes come back to haunt them. This was unlike anything that was being printed. It wasn’t about good guys beating bad guys, but just how bad guys do themselves in. You can see it on the cover with the one hand stabbing the other as it attempts to grasp a winning card and gambling chips. And in the background it’s just utter chaos as a maddened gunman is just shooting up the place while grabbing an unwilling date for the ride. It’s barbaric, it’s action packed, and most of all it’s interesting. This proved that there was indeed a market for gritty stories, and paved the way for comic book titles that had more intensity and social commentary to begin making the rounds.